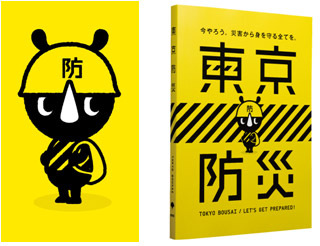 Foreign-language editions (in English, Chinese, and Korean) of the Tokyo Metropolitan Government’s book on disaster prevention “Disaster Preparedness Tokyo” can be viewed via the Tokyo Metropolitan Government website. “Disaster Preparedness Tokyo” is written specifically for Tokyo, summarizing information in an easy-to-understand manner to ensure that it can be used immediately, especially in an emergency. The content includes advanced preparations for a disaster and what to do when a disaster strikes, giving consideration to such matters as the special characteristics of the communities in Tokyo, the structure of the city, and the lifestyle of Tokyo residents. We never know when a disaster, such as a metropolitan earthquake, will strike. It is wise to be as prepared as possible for various disasters. Report on Multicultural Disaster Prevention Festa Shinjuku—Learning about Disaster Prevention While Having a Great Time!